The Gardens grew on the site of a rough bush block where an ex-convict who was granted some land to ‘develop’, established crops and grazed a few cattle. 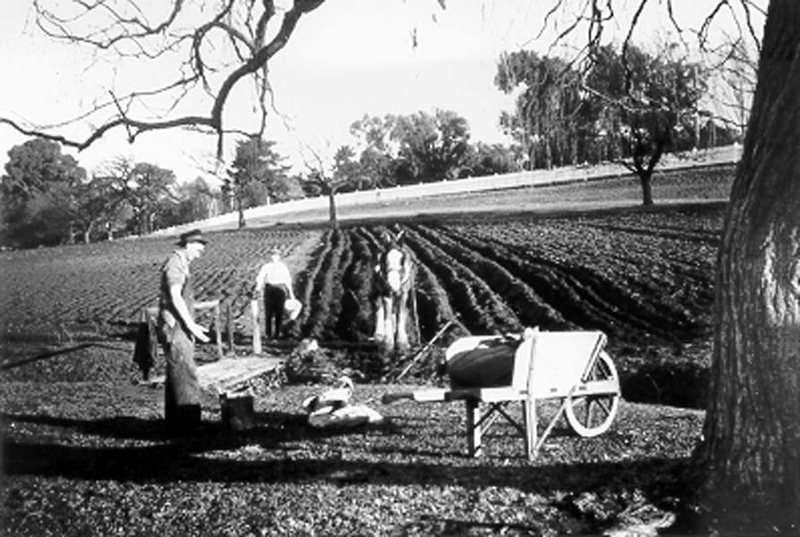 John Hangan and his wife turned the site into a productive farm, with fruit trees, cereal crops and vegetable plots growing food for the settlement on the Derwent River. There is a reference in the Tasmanian state archives of John Hangan’s wife establishing wheat, corn and barley crops onsite in 1806; that’s only two years after the establishment of Hobart and the colonization of Tasmania. A number of years later Governor Sorell reclaimed ownership of the land from the Hangan’s and on the fertile soils established the colonies main production area known as the Colonial Gardens. It was cultivated extensively with varying crops, vegetables and fruit tees, a number of them being new to Australia at that time. This helped to significantly support the growing colony in its formative decades. 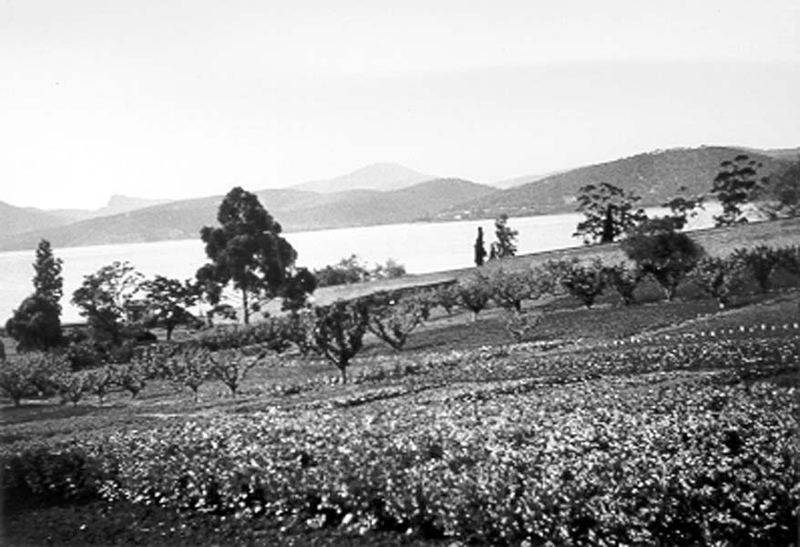 As Hobart Town grew, the Gardens remained a source of fresh fruit and vegetables for the settlers, although some objected to the government putting convicts to work there, instead of road construction and other labour. As well as the constant pilfering from the local garden beds, the local newspaper of the day questioned whether a handful of leading citizens were enjoying more than their share of the freshly harvested vegetables. Officially recorded as founded in 1818, the Royal Tasmanian Botanical Gardens is the second oldest Botanical Gardens in Australia – Sydney Botanic gardens were founded two years earlier, also on the site of the young colony’s first farm and produce garden. As Hobart Town grew, the Gardens evolved with it. People came for rest and recreation, with the development of more creative and formative landscaping enhancing the experience. Collections of plants from throughout the world were exhibited, with productive and commercial plants increasingly produced and distributed amongst the ever expanding colonies. The Botanists researched and the gardeners planted and maintained the many growing collections. Since 1818 the RTBG has had more than twenty Superintendents of varying capabilities (called Directors since the 1990’s). Influenced by the changes in fashion from the Victorian era onwards each has had some impact on the Gardens’ fabric and design. William Davidson was appointed the first superintendent by Governor Arthur in 1828, with a salary of 100 pounds, rations and a new house. His residence still stands today and currently houses the Gardens administration area. The building was originally made up of two distinct buildings that stood opposite one another, one being for the convict workman the other for the superintendent. The buildings were later joined to make one dwelling. The Gardens became such a popular place for weekend excursions away from the smells and squalor of the town that in 1832 the then Governor Arthur closed the gardens to the public on Sundays! Originally the Gardens was managed by a Government Committee before forty years of management under the auspices of the Royal Society of Tasmania. 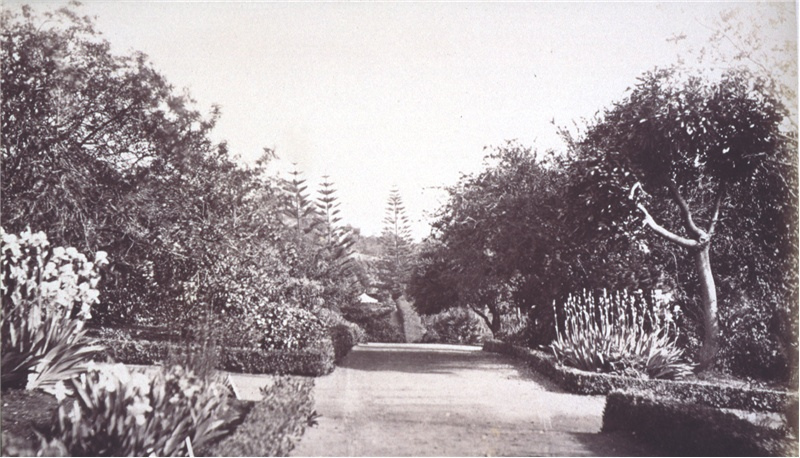 Subsequently in 1950 responsibility reverted to the state Government, the Gardens was then established under law as a statutory body managed by a Board of Trustees under the Botanical Gardens Act. The adjective ‘Botanical ‘ in the title is essentially an historical remnant of the Royal Society era and the appellation ‘Royal’ was bestowed in 1967.